Friends, I have a dilemma. I love wearing button downs (these Polos are my favorite! 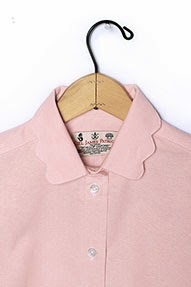 ), and really want a scalloped-collared oxford shirt. Preferably in white or pink and of good quality. Like this one from Kiel James Patrick! The only problem with this is the fact that I do not want to pay $100 for it. I know the whole "you get what you pay for" saying, but I'm only willing to spend up to $50 or $60 for a shirt (and that's pushing it, considering I save almost all of the money I make). 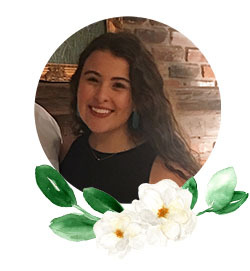 I came across this post by Shannon over at Prep Avenue, and one of her friends wore this cute scalloped-collared shirt from Kate Spade in their photo shoot. I just cannot seem to find one similar to it with a smaller price tag. If you've seen one, or have equally strong feelings about this dilemma, please let me know! I'll be on the look out for one, these are so cute but it would be great to find one with a smaller price tag. They are so cute but I agree I just can't seem justifying that much on it. Let us know if you find a cheap one! Same here! Asos has one in white for $35, but the website say it isnt available when it loads sometimes and not other times. It also only comes in white. 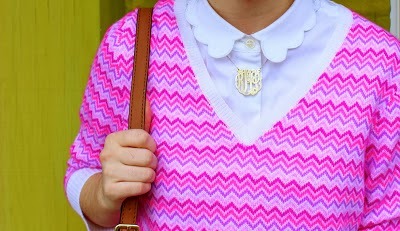 Another blogger wore it, and everyone commented on everything else in her wardrobe and not the white, scallop collar. It doesn't make sense to purchase it if it doesn't stand out (another qualm). Anywho, I hope someone brings it back in a vibrant blue or mint color. Also the shirt is now unlisted at the Kiel James Patrick website!